Mega Cat Studios Brings Us on a Modern Nostalgia Trip! Mega Cat Studios is an independent group of artists and developers from all around the world that has set its sights on helping players relive the nostalgic 8- and 16-bit eras with unique, brand-new “retro” experiences. 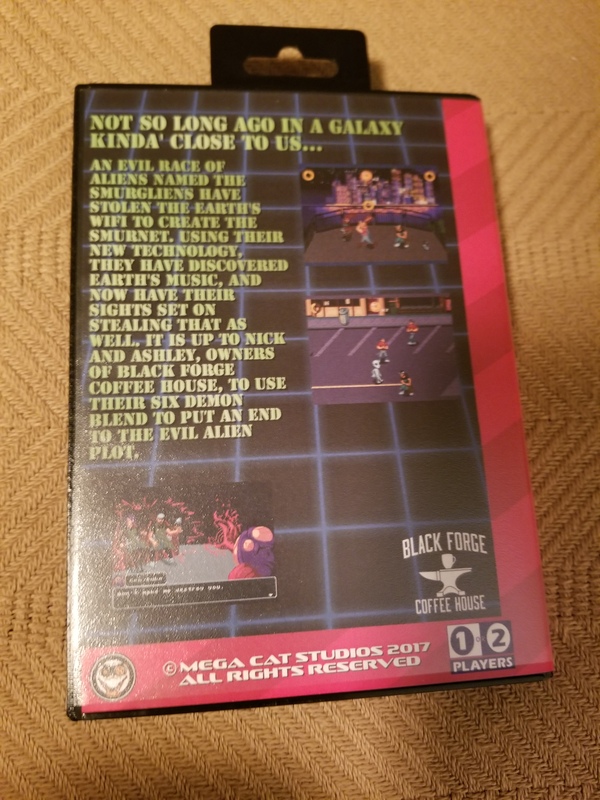 In a world where cloud-based storage and digital retro-style games are a dime-a-dozen, Mega Cat wants to give you a hands-on experience, giving you the experience of having an actual game box, a real enclosed instruction manual, and a physical, plastic cartridge to plug into an actual piece of hardware (yes, even your original NES console!). This isn’t about taking a ROM hack and putting it on a flash cartridge, but rather they’ve taken it upon themselves to build some custom-designed games from the ground up, giving you a truly fresh gaming experience! 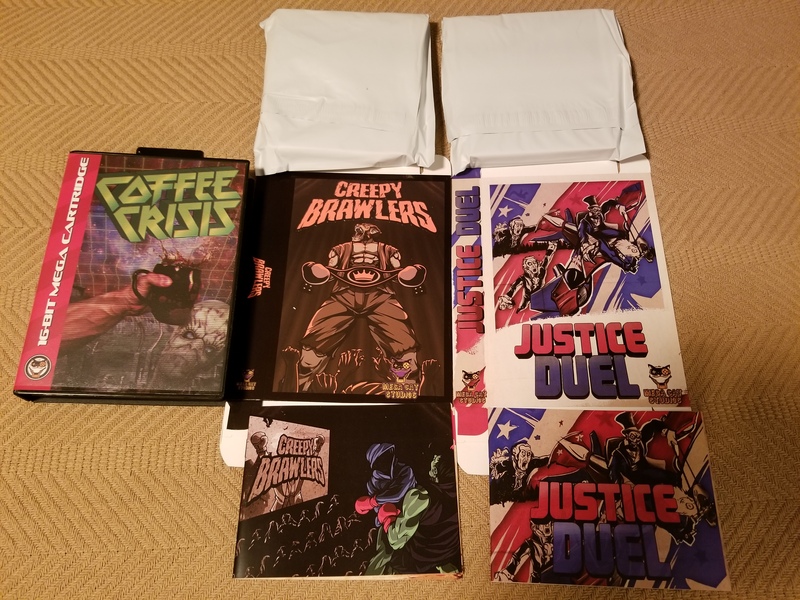 Last week, three of their games arrived in the mail: Coffee Crisis (Sega Genesis), Creepy Brawlers (NES), and Justice Duel (NES). I’ve got to say, so far I’m really impressed! First things first: there’s just something really unique about holding a physical game cartridge in your hands. In this age when we can play classic games on almost any device via emulation, the experience of handling a physical cartridge is missing from most of our lives. Sure, some will say that things are much simpler now, but holding on to an actual physical cartridge is just a fun experience. 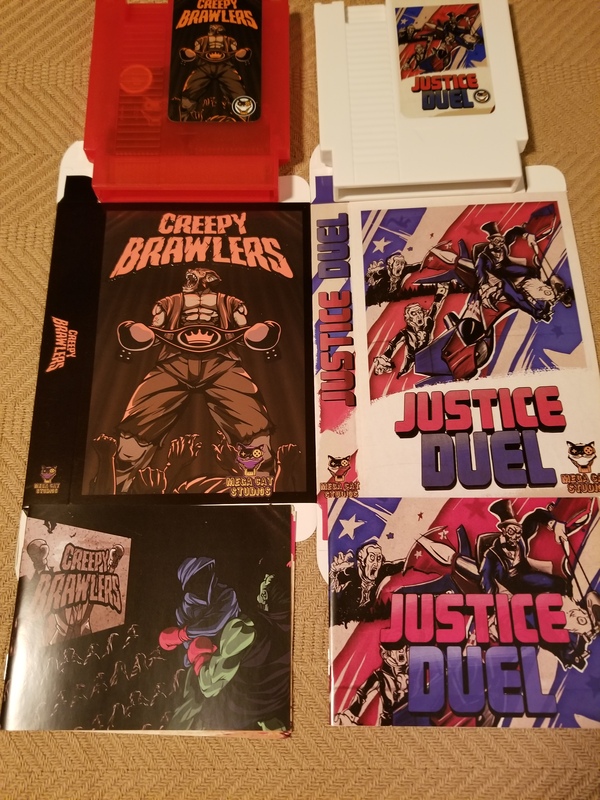 What was really neat about the way Creepy Brawlers and Justice Duel arrived is the fact that they came with a plastic NES game cartridge (in cool colors, by the way! 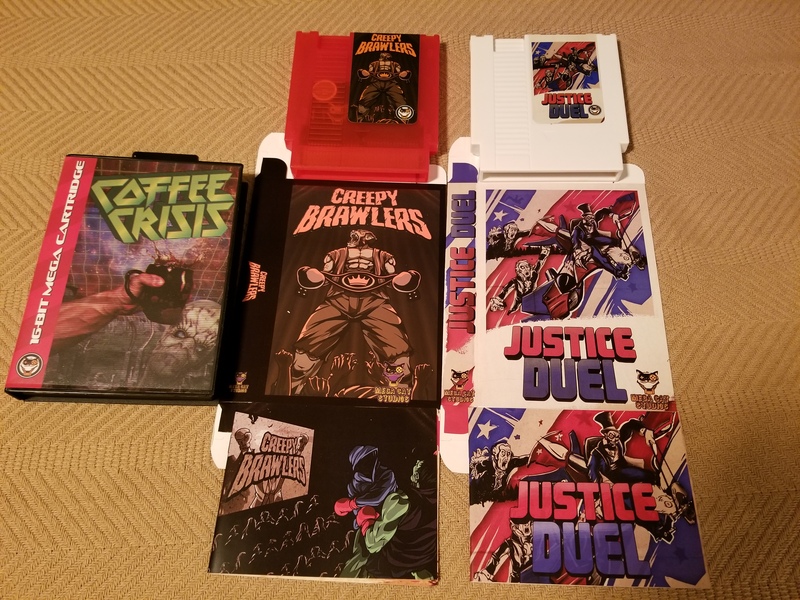 ), an NES-sized instruction manual, and an actual box featuring custom artwork that’s a definite throwback to the heyday of the Nintendo Entertainment System. 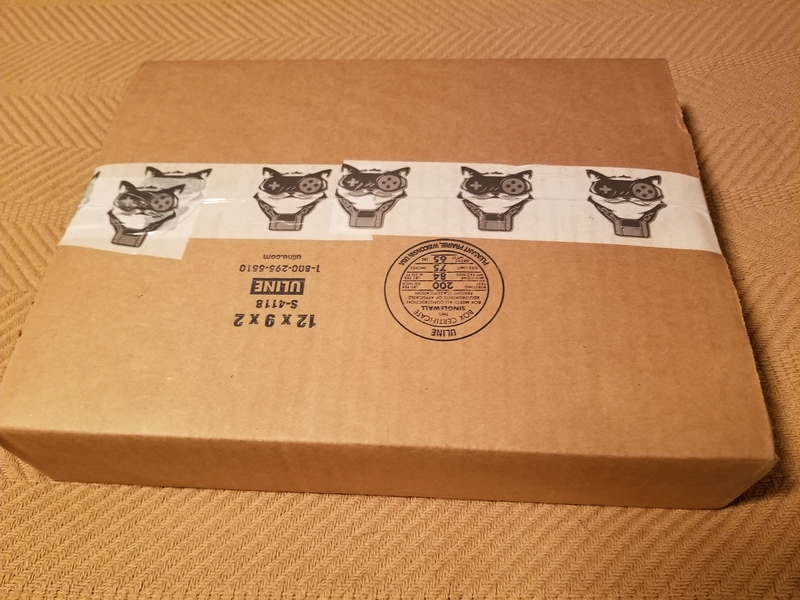 What’s more, the box itself comes folded up, so you get to take a moment of your time to unfold it and get it set up yourself. Maybe that sounds a little silly, but it gives you a fun do-it-yourself moment that just adds a little bit more to the experience. 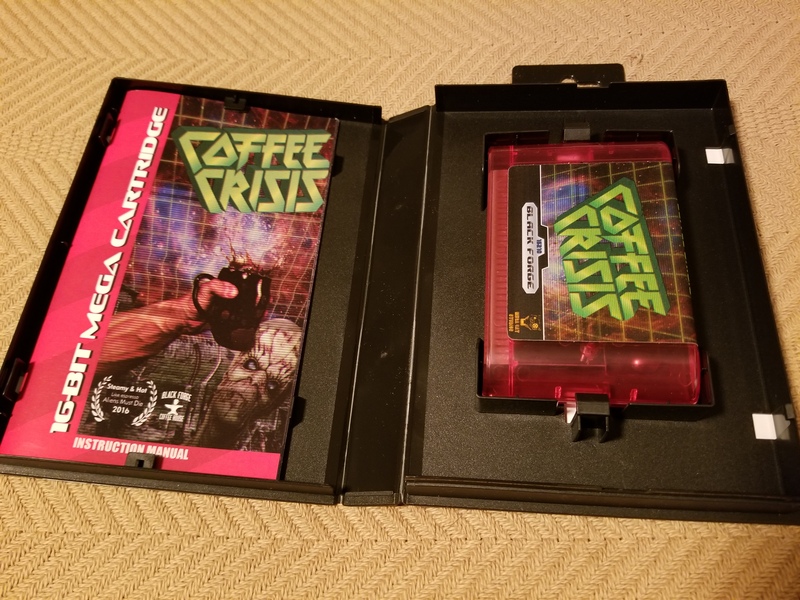 The other game I got in the mail, Coffee Crisis, came in an already-assembled, spot-on recreation of a Sega Genesis cartridge case. 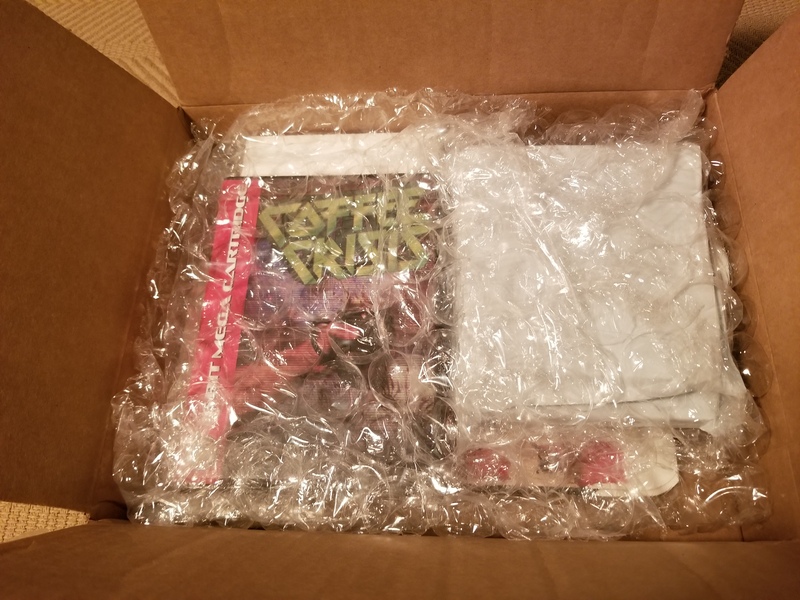 The experience of just opening up the game’s case was like taking a quick trip to the early-to-mid-90s, hearing that pop of the plastic as the box opened for the first time and then getting to lay my eyes on the little treat that awaited inside. The cartridge, though shaped like a Genesis cartridge (complete with a dead-on sticker that you’d have seen back then), has a neat transparent red plastic to it, and the manual really captures the art style of the time period Mega Cat is harking back to. 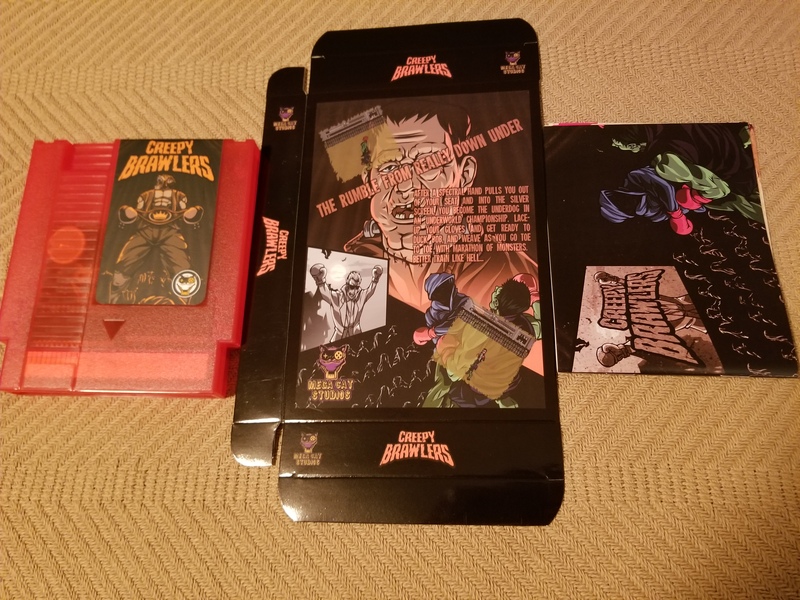 Well, first we have Creepy Brawlers, a game that’s kind of like a Halloween-themed Punch-out!!. 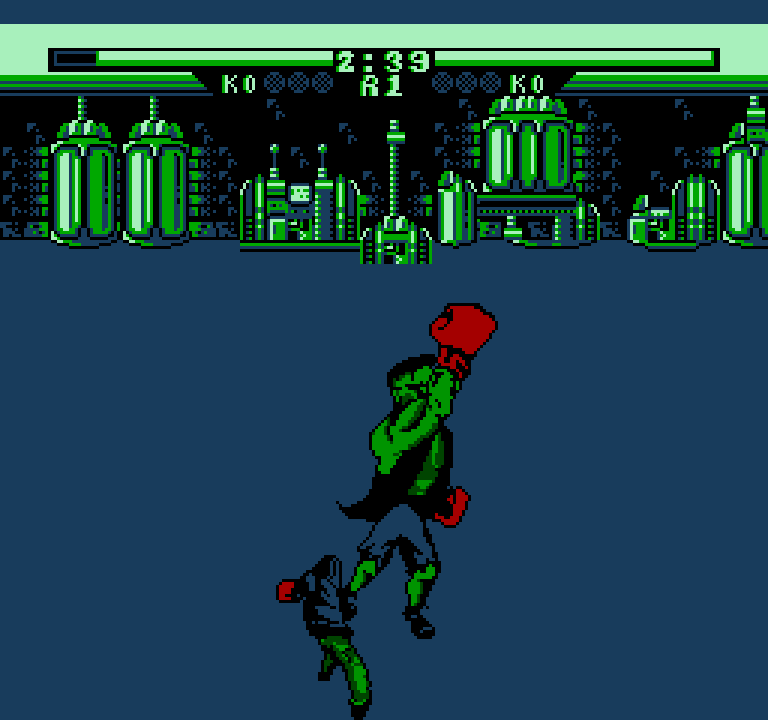 In the game, you face off against the likes of Frankenstein’s monster, the wolfman, and even a vampire. All of your opponents come with their own arsenal of special attacks, so just like the classic boxing game of yore, you’ll have to learn how to read their upcoming strikes, dodge them, and deliver your own bevy of blows to put them back in their place! Justice Duel is kind of a combination of a side-scrolling shooter and the likes of Joust, with a rather crazy story to boot. 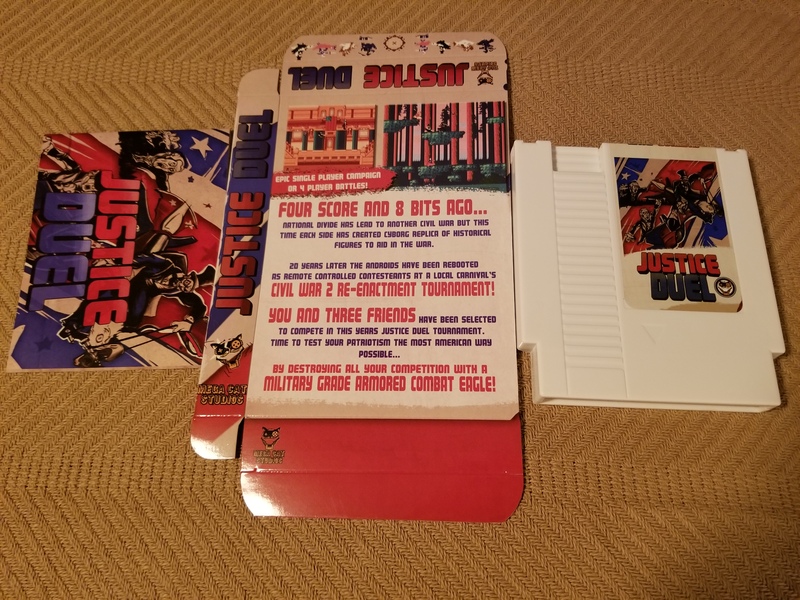 But what really makes the game interesting is that it can make use of the NES Four Score, allowing up to four players to enjoy the game at once. Given that the peripheral had fairly limited use back in the day, it’s actually really neat to see someone actually putting it to use again. Besides, while so many games these days feature online multiplayer, it’s kind of neat to actually have more options for offline experiences with your friends and family! 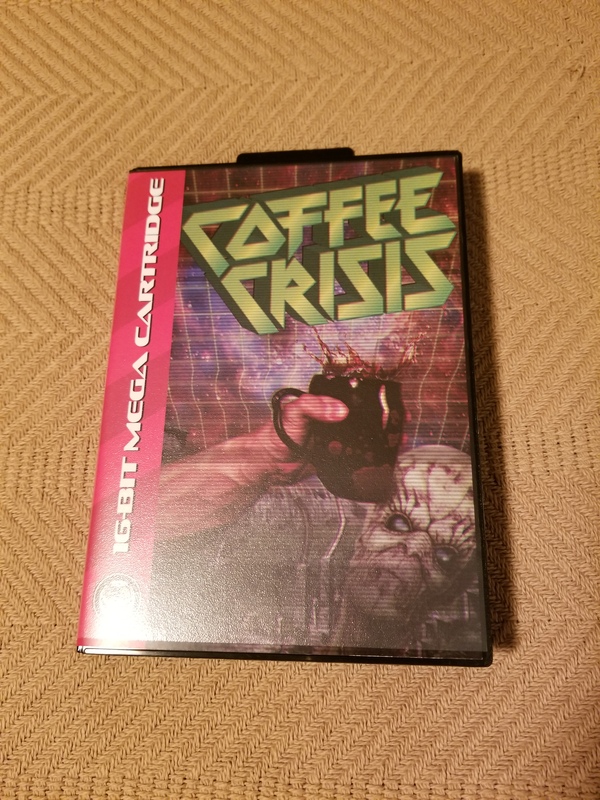 Then, we’re left with Coffee Crisis, another wacky game that’s on the Genesis this time. 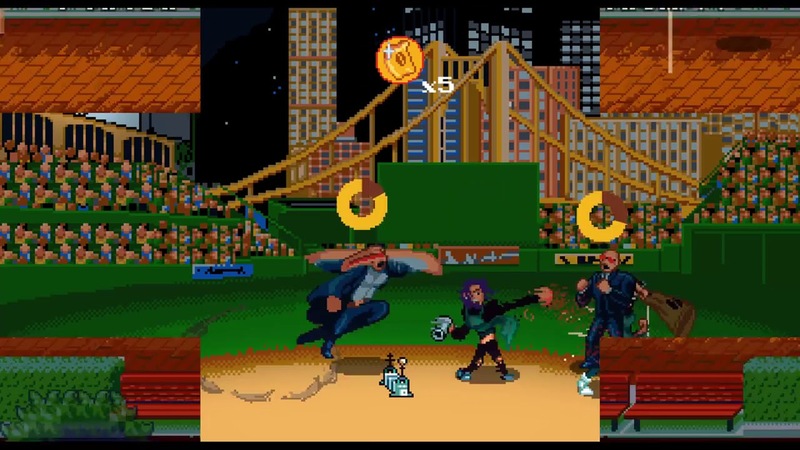 If I had to compare the game to something, I’d say it was like Streets of Rage meets Beavis and Butthead in terms of the brawler combat and its strange sense of humor. Yet, it all actually works and delivers a pretty genuine 16-bit experience that has pleasant, colorful visuals and pretty exact controls. And again, the fact that you can enjoy this one on an actual Sega Genesis console is just really awesome! All of the games on their store have been given a similar treatment to the ones featured in this post. It’s worth noting that these games aren’t cheap, generally ranging from $29.99 on the low end to $75 at the high end. On average, though, most titles can be picked up for $39.99 to $54.99. This is a case where you’re paying for a unique experience to get unique, hand-crafted games. These also make for fantastic original gifts for people you know who are really into retro gaming! Mega Cat Studios is definitely a group to keep an eye on, and I for one am greatly looking forward to seeing what original goodies they come up with next!